MUFON (Mutual UFO Network) has received a report alleging that a UFO was flying over the Columbus/Westerville area of Ohio on the evening of January 18th, 2015. According to the woman who filed the report with MUFON, at approximately 7:15 pm, she received a text from her 11-year-old son, who lives with his father in Westerville, Ohio. The boy claimed that he could see a “meteor” above his father’s house. Curious, the woman, who lives in Columbus “about 20 minutes” from Westerville, went outside to see if she could see anything herself. If you have seen something similar, you are asked to notify MUFON. Concerning the photos the woman submitted, with all due respect, the first image has to be the smallest photo I have ever seen attached to one of these reports. What you’re looking at above is the full size image! I tried running it through software to bring the image out some more, but even a simple “zoom” on this pic turns it to pixellated mush. So sorry, nothing much to see here. So how about it, Columbus area: see anything weird in the sky last night? if you did, I want to know about it! Of course, let MUFON know, too, but don’t forget about your ol’ strange and spooky pal here! 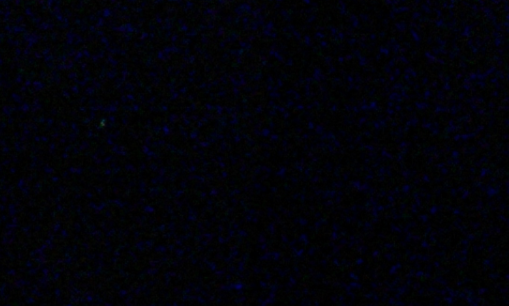 You can read the MUFON report on this particular sighting by clicking here.